New Years Eve is just around the corner… that means 2012 is right around the corner. What the heck? Where did the past year (or five) go?? I swear time flies as you get older…ew. Making my usual rounds on Etsy, I found some amazing items from these very talented Etsy Sellers. I perused some New Year’s ideas for party decorations if you are staying at home, or for inspiration if you are going out. These were my top five. Check them out… very cool stuff for an Etsy New Years! If you are throwing a party, these printables will help you get started. 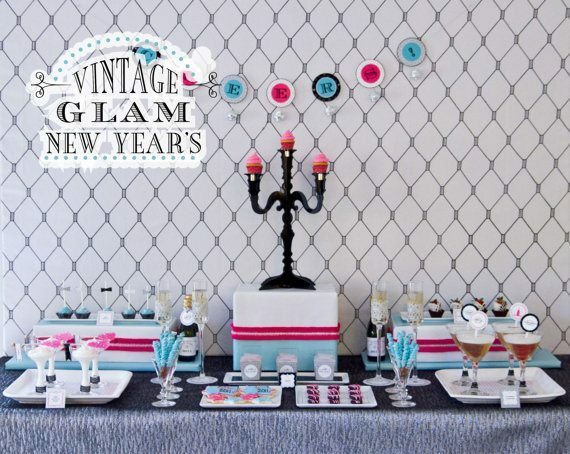 Check out these New Year’s Vintage Glam Printable party invitations by Anders Ruff. I love the color and design. 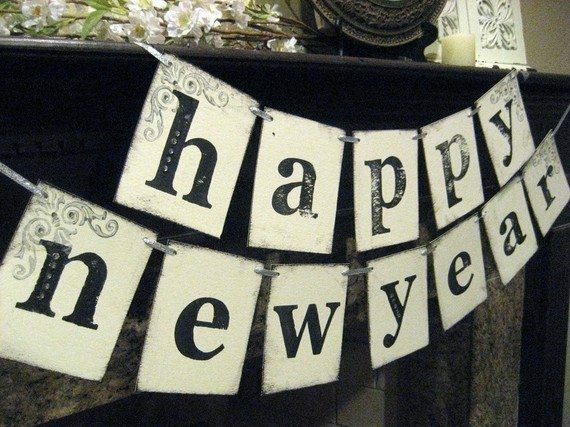 This Stamped Letter Happy New Year Banner by Bekah Jennings is so simple and beautiful. It’s perfect for across your mantel, or around the food table. 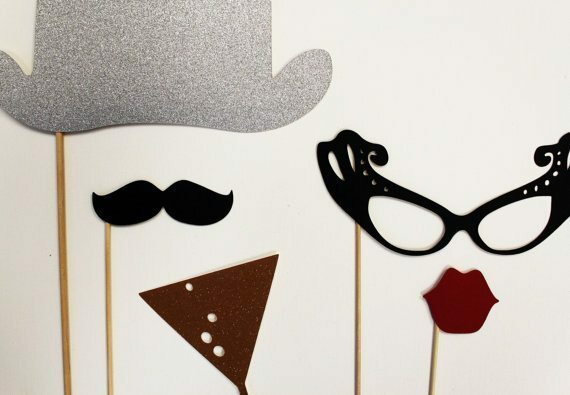 The perfect party favor and activity in one, these New Year’s Eve Props on a Stick by Little Retreats will keep your guests entertained and make great photo ops! 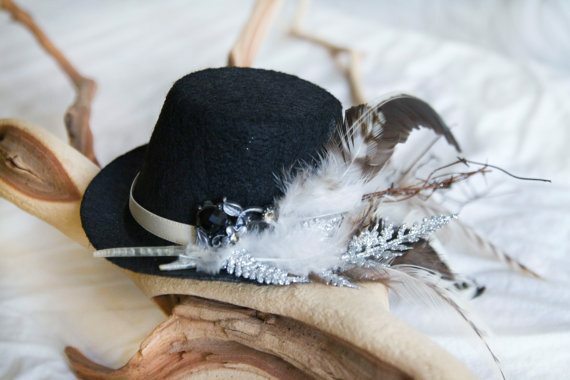 If you are going out for New Years, this Vintage Style Steam Punk Mini Hat Fascinator by Feather Light Designs will top off your outfit. So adorable! The second I saw these, I had to share them. Come on now! These Peacock Feather False Lashes by Oaktopia Designs are amazing!!! Those eye lashes are awesome! Aren’t they??? Thank you for commenting and stopping by! I love the “Little Retreats” props on a stick! That’s such a cute way to remember the evening. You can even write a little message on the back so they always remember whose New Year party was the most amazing. The message is a great idea!